As most of you probably know, Marvel Fanfare was a bit of a catch-all comic book in the 1980s. It would regularly publish stand-alone stories by new writers and artists, as well as clear out of inventory pieces. 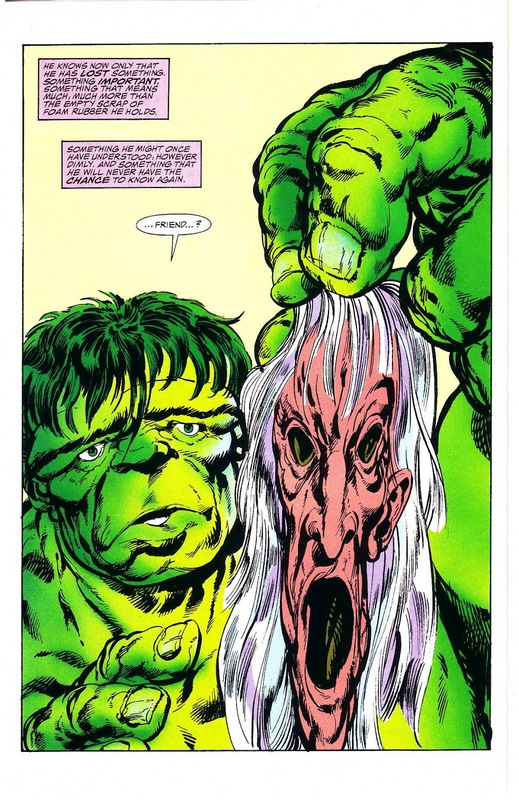 Issue #29 is a bit different in that it featured an unpublished Incredible Hulk story by the legendary John Byrne. This story was originally meant to be published around Incredible Hulk #319 and #320. I’ll go into the behind-the-scenes story a bit later. What’s the story about? An assassin called Scourge of the Underworld tricks the Hulk into being an accomplice to the murder of two third-tier super-villains, Hammer and Anvil. “Justice is Served” was the Scourge’s tagline as his storyline ran through several comics at that time, usually being told in a secondary plot that would run 1-2 pages. This issue was the only story where Scourge is the main character. Interestingly though, we don’t learn much about the Scourge's motivations for these assassinations. We see that he has access to some advanced technologies and of course has shape-changing skills, but that’s pretty much it. The Scourge storyline would be resolved in the pages of Captain America and would later resurfaces in the Thunderbolts in the early 2000s. Why should you care about this story? It’s pretty cool to see John Byrne in his prime, playing with the medium. Byrne was always experimenting, for example, the all-white pages of Alpha Flight #6, and the sideways issue of Fantastic Four #252. And not to mention, his art looked really great on Marvel Fanfare’s upgraded paper stock. With all these splash pages, the comic book had more of a storybook feel to it. Even in the credits, it’s written “Story and pictures by John Byrne”. The flow of the comic book felt more static, and the pace of the comic felt flat. The other interesting piece is how Byrne was going to establish that this creature, now physically separated from Banner, wasn’t just a mindless husk. 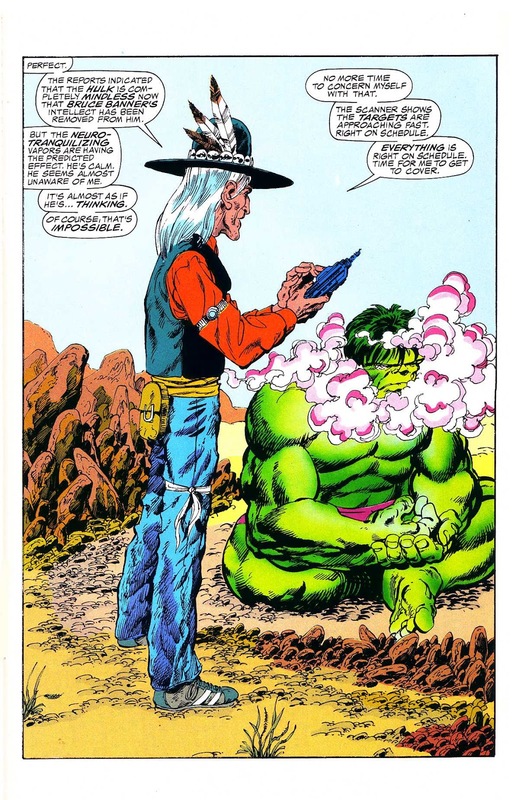 Scourge’s analysis suggested that it was capable of thinking, the title of the story is clearly a tip of the hat to that idea and how the Hulk’s mind is awakening. 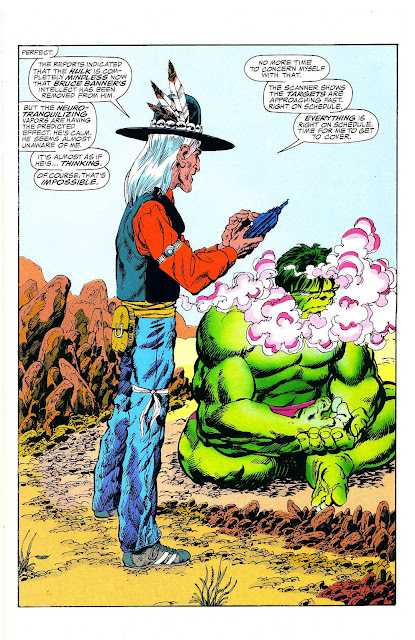 Had Byrne continued on the Incredible Hulk title, it would have been interesting to see how he would have handled the Hulk and his growing intelligence. Upon rereading this issue, I was taken aback by the rather brutal description of Hammer’s murder. "And then his mouth, his eyes, his nose, his face, are gone. There is only Blood. And flying scraps of bone and brain. There is only death." Yikes. The art doesn't match the captions in that there's simply a small explosion where Hammer's head used to be and even on the next page, the gore is rather non-existent. What’s the behind-the-scenes on this issue? The rejection of this issue by editor Denny O’Neil was what forced Byrne to resign from the book. There was already a rather stormy climate in Byrne’s relationship with Marvel’s Editor-in-Chief, Jim Shooter. I set about doing all those things I had told to the E-i-C. Whereupon the very same E-i-C began saying "You can't do this! You can't do that!" Realizing I had been bushwacked, I took the only course available, and left the book after six issues. “Really thought I was settling in for a long run on this series. 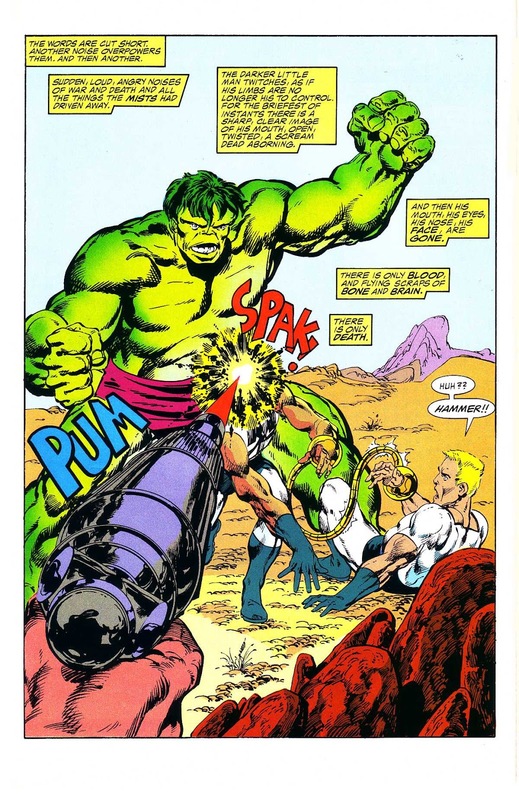 The switch from ALPHA FLIGHT happened after a long cab ride with Shooter, during which I told him what I would do with the Hulk if I had the chance. "That's GREAT!" he said. "You should do the Hulk!" But I already had a very full plate, and the only way I could take on THE INCREDIBLE HULK was if I dropped one of my other books. As it happened, tho, I was starting to run out of steam on ALPHA. So a few days after that cab ride I called Bill Mantlo and proposed a swap. He liked the idea, and we made it happen. “Then I turned in my first couple of issues and an overview for the year, they went to Shooter for approval, and he said "What's THIS?? You can't do THIS!!" It was exactly what I had told him in the cab, but I had forgotten something about Shooter. Whenever I'd told him story ideas, he'd approve them, then go off and completely rethink them in his head, and expect the rethought version to be what I would somehow magically give him. Happened on CAPTAIN AMERICA. Happened on X-MEN. Now, on INCREDIBLE HULK. “It also happened at a time when I was tired of fighting Shooter. So I just threw up my hands and said "Okay, if I can't do what you AGREED I could do, I have NOTHING to do." And I left." “After one particularly bad incident, I finally confronted Denny and told him he'd better start doing his job. That very day, I think, a John Byrne Hulk job came in, finished, lettered and inked, that was all splash pages. Denny thought I'd go ballistic when I saw it, so he rejected it! And he told John it was because I, Jim Shooter, didn't approve. John was the one who went ballistic. He quit, contacted the President of Marvel and demanded I be fired. The President called me and asked who the hell John Byrne was, and to please keep these people from bothering him. Here's the twist ending. I never even saw the rejected book! I assumed that Denny had given it back to John. I didn't even know why Denny had rejected it, only that he did. I didn't know it was all splash pages. Know this: John and I weren't on the best of terms before all of the above happened. I had objected to some things he'd done in the books, and nixed a few things he'd wanted to do; and he had objected to my objections. So, maybe he would have left Marvel eventually anyway because of me." There's a lot of grey area there and I won't make any judgement calls or jump to any conclusions. You can draw those yourselves. From what I've read of the pair over the years, they both have a reputation for being difficult to work with. Why couldn't they use a written sign-off system for stories instead of relying on casual conversations? It might have avoided so many rows. For that matter, it's hard to understand how work could be rejected after the inking and lettering when it should have been rejected at the plotting or the breakdown stage. 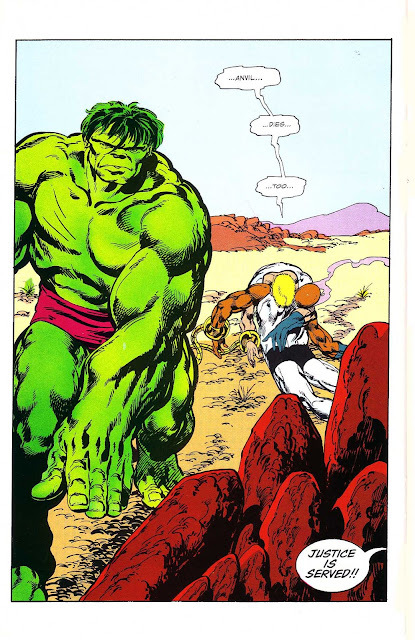 It was a shame that it was cut short, but I never really cared for Byrne's run on the Hulk. Although a genius, by that stage Byrne had run out of steam and was just cranking them out whilst the money rolled in. His stories had become a series of random shocks designed to boost sales (new costumes, new hairdos, weddings, deaths, etc.). Similarly, his artwork had become sketchier and bigger with less panels (3 or 4 at the most) and fewer backgrounds. Thus the Fanfare piece seemed less an innovation than an excuse to reduce the number of panels and story density even further. The splash pages didn't support the themes and each page could have equally been reduced to a quarter page panel without making any difference. Thor's battle with Jormungand in #380 was much more successful in terms of writing and composition. At least Simonson had a story reason to use splash pages rather than laziness or shock tactics. "By the way, Denny did not tell me he couldn't use the all-splash issue because Shooter had rejected it. Denny didn't even show it to Shooter. Everyone at the office was by then so gun shy they were afraid to let Shooter even SEE something that might "upset" him. And THAT was why I quit HULK, and why I eventually quit FF. Impossible to work in that environment, where something could be approved in full on Friday, and utterly rejected on Monday. And -- the all-splash story was later used by Al Milgrom as an issue of MARVEL FANFARE, the "prestige" book. So perhaps it was not so bad after all?" Byrne didn't quit Marvel after the Hulk, he continued working on the FF if you check the dates. So that kills Byrne trying to get Shooter fired. 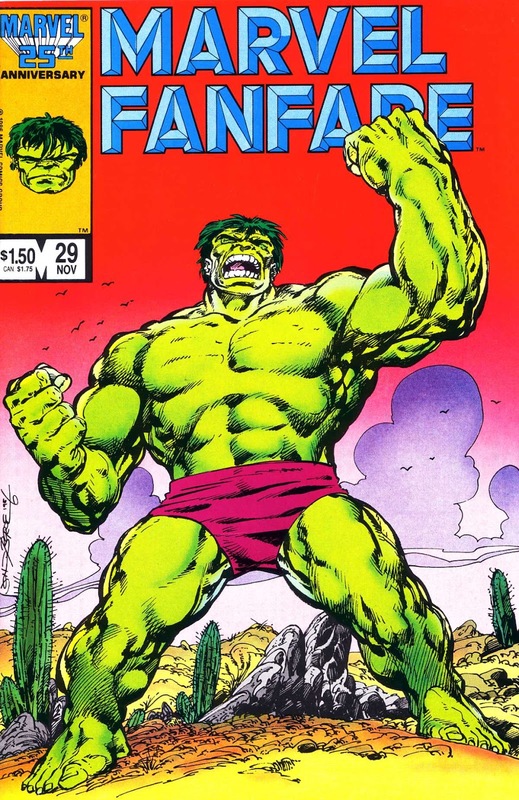 Also since Shooter took credit for publishing the Hulk all-splash page issue, first to do it, so there really isn't any debate about the issue. That's a Shooter cosign. If you read Byrne's Hulk, there was bit where Samson said, the Hulk can be taught and re-trained into society and he almost as bad as when he went to the Crossroads. This is issue was the first time the anger fueled Hulk is stopped. Cold. Scourge had no interest in fixing the Hulk.... but the Hulk's intellect was still there!!! Amazing issue. First to do the all-splash page issue. Shooter has the ring of truth and Byrne has made any number of allegations about Shooter's tenure that are contradicted by dates and other people who were working there. Shooter was so hard to work with? Apparently yes if you're a prima donna. Frank Miller, 1000% more talented than Byrne, seems to have had no problems with controversial work in DD D.C. and Elektra, not Simonsons, not Claremont, and the list goes on.